Would you like your children to engage with other peers in the community? Do you want them to learn Islamic principals in a fun, non judgmental way? 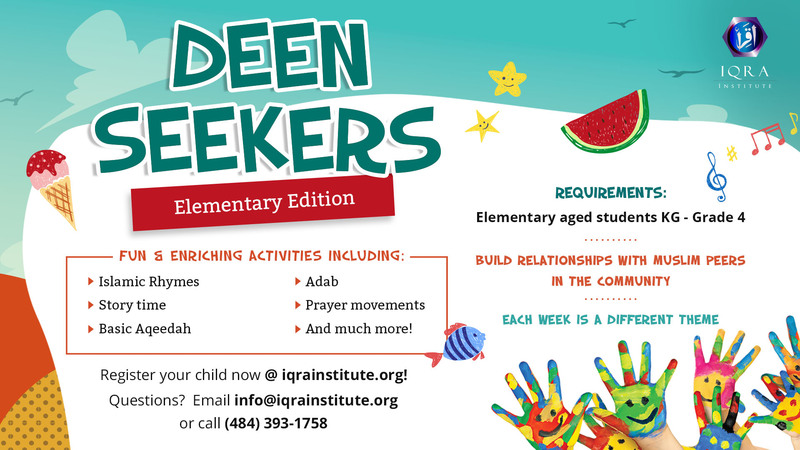 Deen Seekers Elementary edition is geared towards the student and family of those that go to a public or secular private school. Each week there is a general Islamic theme where the children will learn about their Deen in practice. Students will be engaged in the topic as well as interact with their peers. Our aim is to facilitate a love for our Deen in our children. Salat and speak about Ramadan.